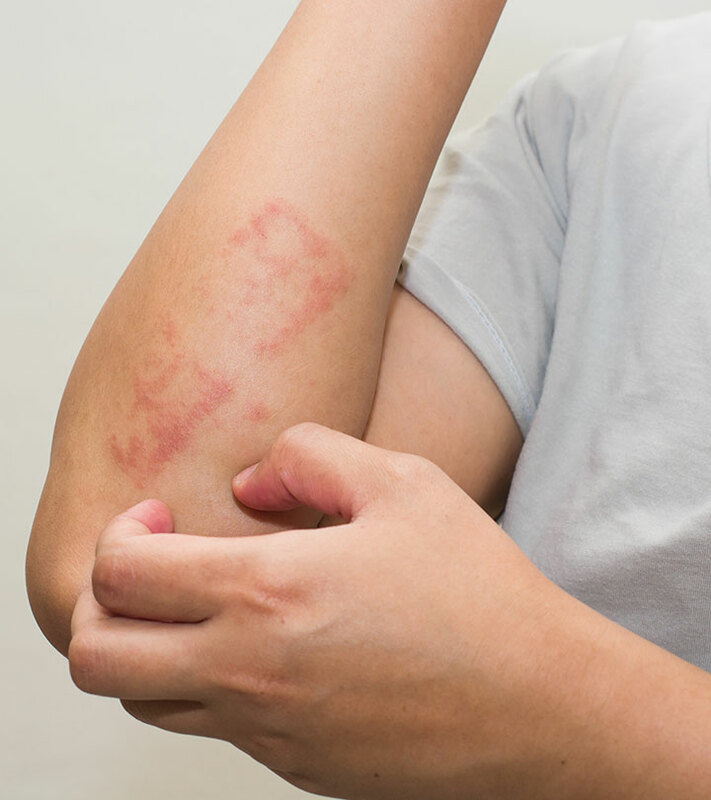 Psoriasis could be an embarrassing problem for most people. But lately, research has been talking about using apple cider vinegar for psoriasis treatment. We will discuss that (and a little more) in this post. Stay tuned. 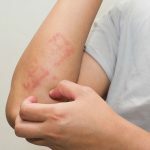 Is Apple Cider Vinegar Good For Psoriasis? 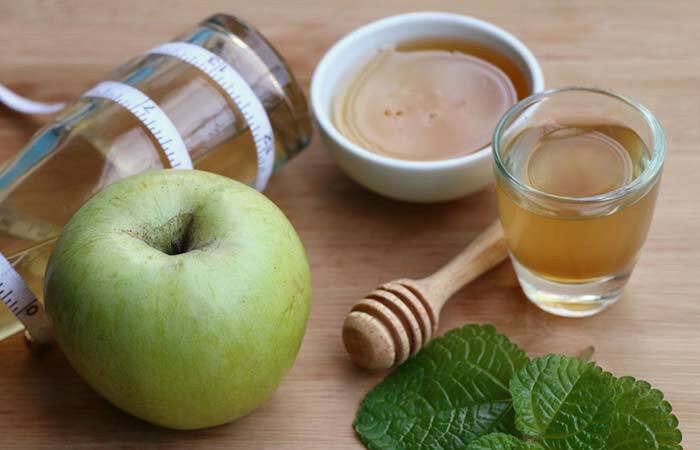 The fact that ACV has been used since the ancient times as a disinfectant says a lot about it. Doctors from the 18th century were known to have used ACV to treat skin conditions like poison ivy. Given its antiseptic properties, ACV can help get rid of the irritation associated with psoriasis. However, the evidence we have is mostly anecdotal. But there is no harm in using ACV for psoriasis treatment (don’t use it on open wounds, though). Which is why you sure can give it a try. Just ensure the ACV is organic, unfiltered, and raw as it contains beneficial bacteria. Mix the ingredients and consume the drink before dinner. Once every day, before dinner. Apple cider vinegar is known to make the pH levels of the body more alkaline – this improves digestive functioning and kills the toxins that cause viral or fungal infections. ACV also contains vitamins A, B1, B6, and C, minerals like potassium and iron, and alpha-hydroxy acids – all of which exfoliate the top layers of the skin. In a small bowl, add the apple cider vinegar. Add the baking soda and water, and mix well. Apply the mixture to the affected areas and leave it on for 30 minutes. Rinse the mixture off with lukewarm water and gently pat your skin dry. Twice a day for 2 weeks, or until the symptoms subside. 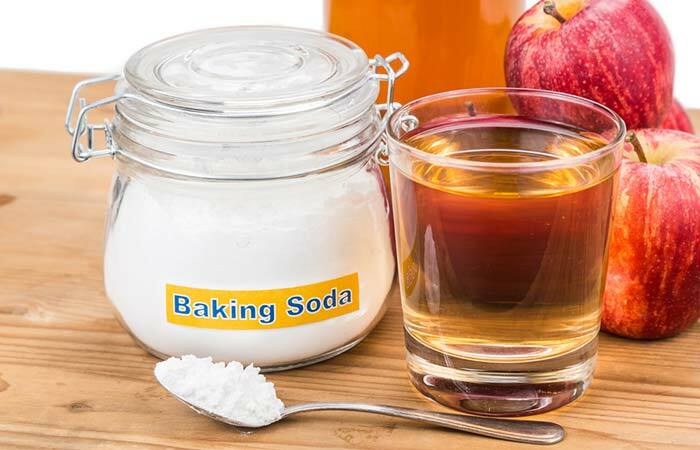 Baking soda helps heal the skin with its anti-inflammatory properties. It also balances the pH levels of the skin. Mix the ingredients and massage the mixture over the affected areas. Leave it on overnight. You might want to sleep on a plastic sheet to avoid soiling your bed covers. Gently wash in the morning with lukewarm water. Olive oil has emollient properties, which help prevent dryness and make the skin smooth and supple. And the oil’s antioxidant properties prevent further damage to healthy skin cells. Mix the ingredients and apply the mixture to the affected areas. Leave it on for 30 minutes and then wash gently with lukewarm or cool water. Glycerin moisturizes the skin and helps ease the irritation. Mix the ingredients and consume this mixture. Follow by a glass of water. You can also apply this mixture to your skin and wash after 30 minutes. Honey has antioxidant properties that help fight the infection. And the hydroxycinnamaldehyde in cinnamon helps reduce the inflammation. The citric acid in lemon fights inflammation and can help treat psoriasis. And the antioxidants in cayenne pepper can combat the infection from within. We suggest you don’t apply this mixture on the affected areas due to the presence of lemon juice and cayenne pepper. Psoriasis doesn’t have to be an embarrassment anymore. Try apple cider vinegar – because it has worked for many. Just ensure to dilute it as too much of it might cause a burning sensation. Let us know how you have liked this post. Simply leave a comment in the box below. 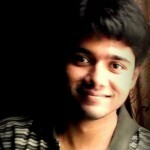 How To Use Apple Cider Vinegar To Treat Acne?